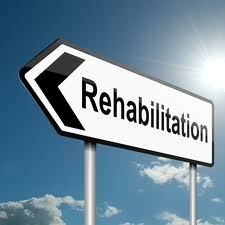 In order for an inpatient rehabilitation programme to be effective, it needs to be a safe and therapeutic environment. It will not be possible to really benefit from this type of programme unless one can be at ease. The way that these inpatient facilities ensure that patients enjoy the right type of environment is by sticking to strict ethical principles; there is often a legal obligation for them to do so as well. Below we outline some of the most important ethical principles that help to make rehab effective. You are an individual and, as much as possible, you should be allowed to live your life as you see fit; the only exception is when your way of life causes harm to others. This right to be independent needs to be respected during your time in rehab, so this is where the ethical concept of autonomy comes in. The goal of this type of programme is not to have others tell you how to live your life – the real goal is to empower you so you can being moving your life in a more positive direction. It is best to think of the therapist and other people working in the inpatient rehab programme as being on your team rather than there to tell you what to do. You are the leader of this team, so it is up to you to get the most from these professionals. You will not be coerced into to doing anything you do not want to do during your time in this facility; you are always in charge and you set your own pace. The fact that you are completely autonomous in rehab means that you could choose to just coast through your time in the programme; in fact, you could choose to resist all of the help offered and just treat the facility like a resort. It is completely up to you to get the most out of the programme and nobody else can do this work for you. This is why you should be wary of any programme that promises to help you break away from addiction because the only person capable of making that promise is you. Another part of respecting your autonomy is the willingness to provide you with individualised care. The programme should be built around your needs and not just the convenience of those who are providing the treatment. The old idea of a ‘one size fits all’ is no longer considered valid. When you enter one of these programmes, you can expect your needs to be carefully assessed and a programme created based on this assessment. Informed consent is closely associated with the ethical principle of autonomy. The world has changed and the old parental attitude of the ‘doctor knows best’ is no longer considered ethical. You have the right to be fully informed of your treatment and do not have to do something just because the therapist thinks would be good for you. All quality rehabs understand the importance of transparency and are very open about the services being offered. There may be a limit to the amount of information the therapist can provide you with based on your level of comprehension, but they should be willing to be open and honest to your questions. Some clients do end up being coerced into attending rehab. Maybe their family performed an intervention or their boss gave them an ultimatum. In these cases, the person may feel as if they are in rehab against their will, but this is not really the case. The individual can choose to withhold their consent and face the consequences of continuing with the addictive behaviour. There is nobody that can make them comply with this type of programme; this is why informed consent is vital if the person is going to make progress. Some individuals do feel coerced into rehab, but they soon realise that getting sober would greatly benefit their life, so decide to make the most of their time in the facility. Confidentiality is a key component in rehab; if you do not feel that the information you provide would be kept secret, you would be very reluctant to provide any information at all. Therapists maintain a strict code of confidentiality, so you can feel safe divulging information to this type of professional. The only time when they may be obliged to reveal information from your therapy session is when your life is in danger or you may be a danger to others. This means that unless you tell the therapist that, for example, you intend to murder somebody, you can be secure in the knowledge that he or she will keep your conversation secret. The one area where you may be particularly worried about confidentiality in rehab is in regards to group therapy. This is because you will be sharing information with other clients and they will have the same obligation to secrecy as a therapist. This is why it may be better to speak in a more general way (for example, do not name names) at group therapy sessions, leaving the more intimate details to a one-to-one therapy session. It is also important to keep in mind that the other clients are likely to be as worried about their confidentiality as you are about yours, therefore it is in their interest to respect the confidentiality rules of the group as well. Honesty is very important in rehab, not only for clients but also for therapists and the other professionals working in this environment. They often say that you are as sick as your secrets – this means that you need to be willing to open up in rehab in order to get the most from the programme. It is unlikely that you would be willing to be honest unless you feel the therapists will be honest with you as well – it is a two way street. The process of recovery is all about you becoming more and more honest with yourself. This is vital so that you can get beyond the denial of addiction. The first step to this needed level of honesty is the willingness to open up, which is why rehab has been designed to create an environment where you will be more willing to do this. The providers of rehab programmes have a duty to keep you safe during your stay. It is their duty to be always acting in your best interests. This means that they not only provide an environment where you are going to be kept safe but also get the right type of treatment as well; nothing that happens during your stay in this type of facility should cause you harm. Part of keeping you safe during your time in rehab is the willingness of providers to respond quickly to any concerns you might have. The quality programmes are always willing to be flexible to make sure your needs will be met during your stay.